As social marketers, we tend to focus on the conversation that we (or our clients) own. Our success is judged (most of the time anyway) on how many followers/fans/views our brand receives and how much engagement their "owned" content receives from those fans. There's discussion about empowering fans but, much of the time, our strategy depends on the brand's actual messaging. It's easy to forget how sometime's a brand's actions can speak louder than words. Currently and in the past, I've helped with a few trade show efforts. Obviously, social plays a role in generating buzz to drive show attendees to your booth and help increase your social following post-show. Those are all good things but I've learned that owning a conversation isn't always the best focus. Instead of thinking about catchy tweets or rewarding people who follow, like or retweet your message...what if you did something so awesome that people felt compelled to talk about it? What type of things could your brand do that would make people feel all-but-obligated to whip out their phones to snap a photo or tweet their (hopefully positive) reactions to the rest of the world. While I was at Engauge, two of my co-workers managed a booth presence for Rachael Ray's Nutrish dog food at Blogpaws. At the end of the day, they needed booth traffic to engage with folks. How did they do it? They turned what could have been a product booth into an experience. 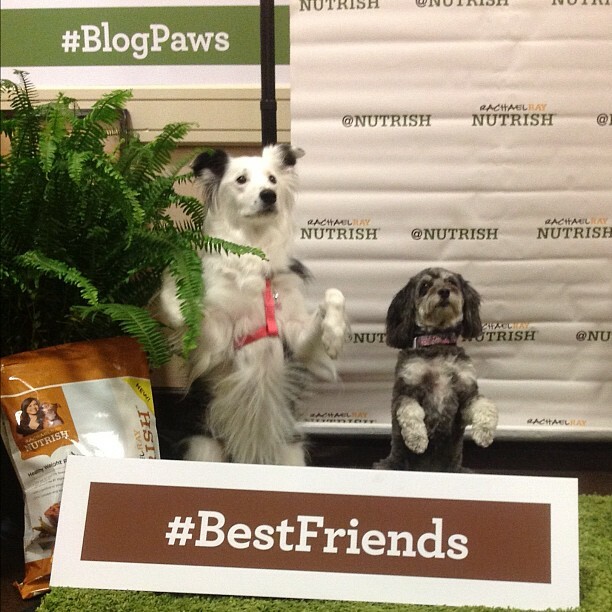 Instead of a table with product displays and an iPad giveaway, they setup a grass area, a park bench and a step-and-repeat banner with cut-out hashtags for dogs to take their photos with. As a result, folks lined up at their booth to capture photo moments with their dogs at the booth and genuinely have fun. When those photos were taken, the Nutrish branding was obvious in all the user-generated content...just not invasive. Conference attendees talked a lot about Nutrish. Not because they had pretty bags of dog food but because the brand provided an experience that centered around the attendees and their pets and not about selling dog food. I never saw post-mortum results of brand impressions during and after the conference online but I'm sure they did quite well. Sure, in that type of situation, you don't always own the conversation. But online...when do we ever? Create impactful, fun and unique experiences for your audience and you won't feel the need to do as much work. Your fans will do it for you.